Sweet Sweep of the Creek! HarborLAB’s Newtown Creek Sweep, part of the Riverkeeper Sweep event at sites from NYC to Albany. HarborLAB volunteers, environmental science students from CUNY LaGuardia Community College, and a mix of visitors from other schools and walks of life had a fantastic time tending to the Newtown Creek on Saturday! Our work was part of the annual Riverkeeper Sweep of Hudson River and estuary sites from New York City to Albany. Our Newtown Creek home base is a waterway so blighted with pollution that it qualifies for the US Environmental Protection Agency’s Superfund cleanup program. 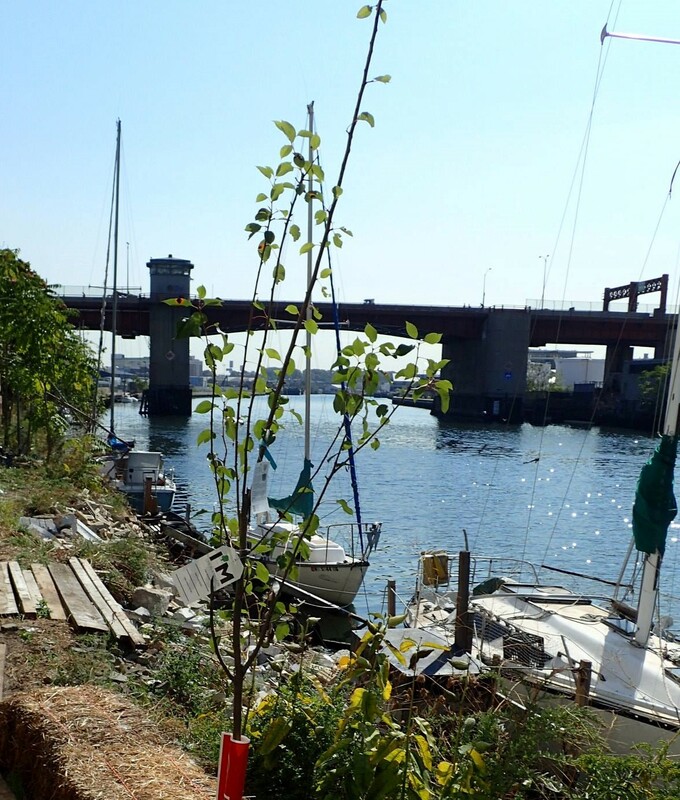 HarborLAB’s Newtown Creek Sweep had two basic components, cleaning and gardening. We offered a variety of activities so that people of all ages and abilities could participate. More than 30 people helped over the course of the day. We were especially grateful to have educators among us to add learning to the labor. Holly Porter-Morgan, Diana Szatkowski, Harald Parzer, and Thomas Dieter brought knowledge and encouragement to our students and volunteers. The core of the program was removing plastics from our shoreline and the creek itself. 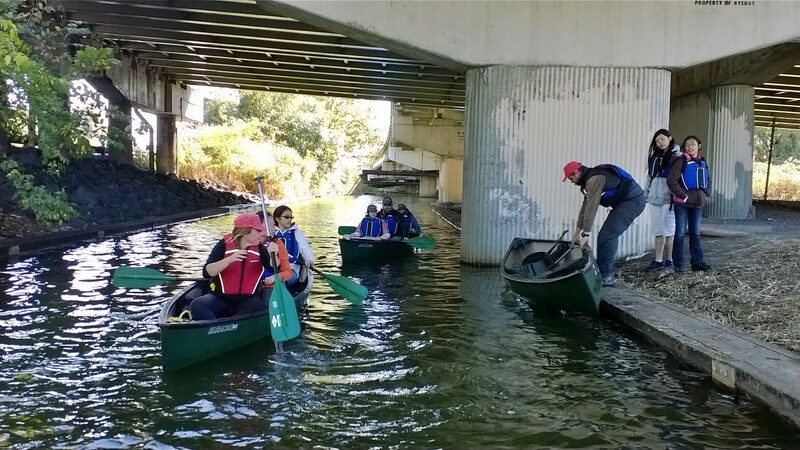 Volunteers wend their way through broken bulkheads and boat lines to pick trash from the shores while our canoes went out in two waves to scoop up litter, mostly plastic bottles and bags. These smaller items filled seven large trash bags. Larger hauls included a lawn mower, two chairs, a 55-gallon steel drum, a bird feeder, and antiquated electronic sound systems. We’re under no delusion that our cleanups will remove the tonnage necessary for an ecosystem rebound, but the exercise educates people about the severity of the plastics problem. So what works if picking up plastics is a measure that’s too little, too late? Recycling is also an inadequate solution by itself because it requires a great amount of energy (often from carbon-releasing fossil sources) and sustained administrative focus. With petroleum and other commodity prices low, private carters in New York City are recycling even less material than usual despite New York City’s public commitment to eliminating waste. While a reduction in unthinking, rampant consumerism is laudable, instilling new virtues across the culture will be a slow process. Real penalties and enforcement for littering will help a bit, but not enough. That leaves voters and activists to demand a reduction in wasteful packaging at the design and production stage. We must also push to eliminate combined sewer overflows, which gulch marine debris as well as pathogens and other pollutants. Gardening was also a big part of the day, and is a huge part of HarborLAB’s work. Volunteers — especially a group from New Hyde Park High School — made thousands of native pokeweed seed balls that we’ll distribute as we land at rest stops on our harbor journeys across to stabilize shorelines, buffer storm surges and waves, feed birds, and sustain pollinators. Those up for heavier lifting helped restore our shoreline by layering cocoa husks from MAST Brothers Chocolate with burlap sacks, kitchen scraps, and soil in a system called “lasagna composting.” This fresh soil covers a broken brick substrate that mimics the glacially transported rocks of our region. The resulting slop will be planted with staghorn sumac, pokeweed, goldenrod, milkweed, and other indigenous species, and footed by smooth cordgrass and shellfish. Some of these species are already making headway. We were delighted to see that our dozens of shadbush saplings were fruiting copiously and our hackberry and American persimmon are also thriving. Our raised bed and container-grown dessert cultivars are doing great too, including apricots, apples, pears, and figs. 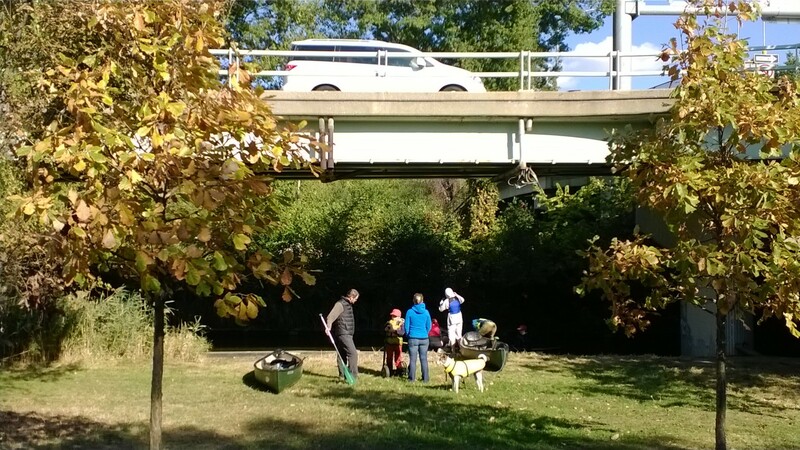 We’re tremendously grateful to all who came and helped, and to Riverkeeper for creating this unifying event and helping direct volunteers to sites. 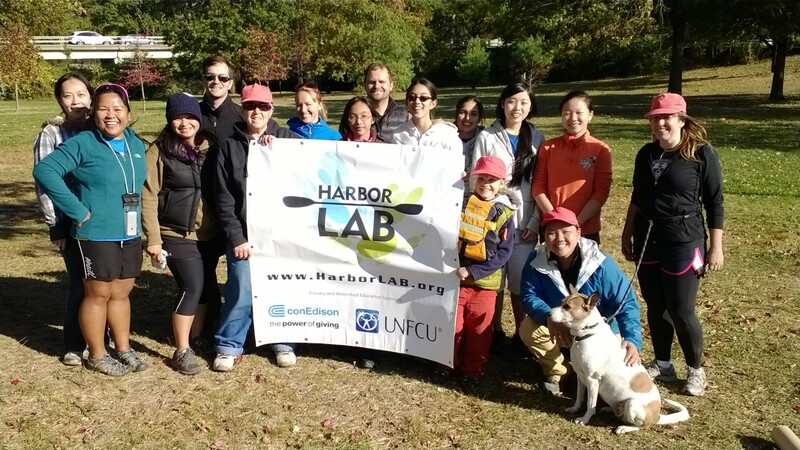 HarborLAB takes part in the Citizen Water Quality Testing Program (CWQTP), an initiative of the New York City Water Trail Association that coordinates weekly grassroots monitoring of metropolitan area waterways for a 20-week period from May through October. I had the opportunity to lead HarborLAB’s participation in 2015. 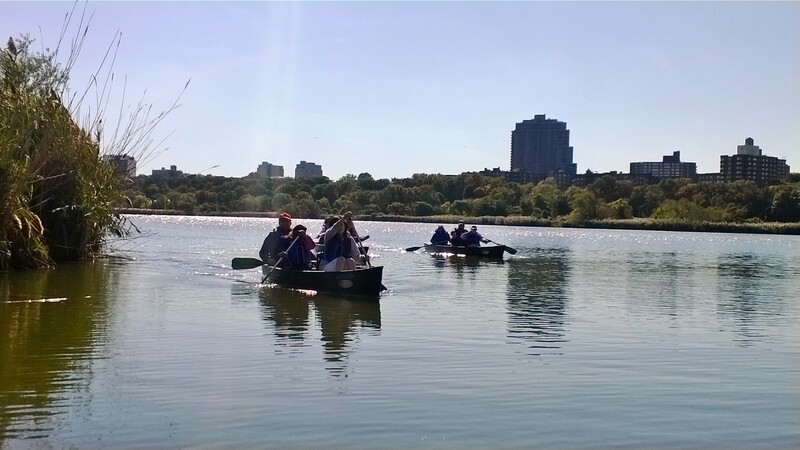 Our focus was again Gantry Plaza State Park, where we serve cumulatively thousands of children, teens, and adults through public paddling programs and special partnerships with organizations serving disadvantaged youth. We received training from The River Project and a research team at Columbia University’s Earth Institute on water sampling at docks and shorelines. The sampling season launched on May 28 with 38 sites from Yonkers to Jamaica Bay. We measured nitrate and phosphate with in-situ testing kits and brought chilled samples rapidly to five labs to test for Enterococcus, a gut bacterium indicative of sewage. While nitrate and phosphate levels are immediately registered, bacteria must be incubated for more than 24 hours. Gantry Plaza State Park is on the East River, a tidal strait within the Hudson River Estuary. 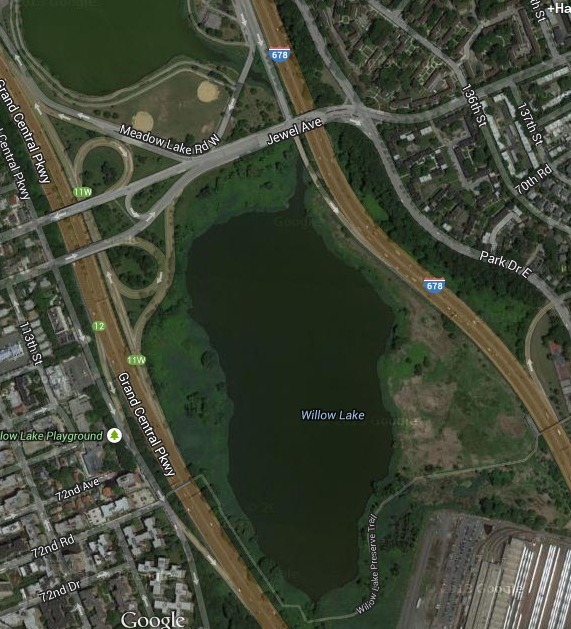 The CWQTP concerns itself with wastewater contamination of the East River due to past and recurring contamination from combined sewer outfalls (CSO) and malfunctioning of wastewater treatment facilities. Paddling groups and nonprofit littoral ecology experts assert that because NYC Department of Environmental Protection surveys sample in deeper water, official statistics don’t account for bacterial colonies near shore, where human contact and wildlife activity is greatest. NYC Department of Health water testing focuses on swimming beaches, not kayak and canoe launches. HarborLAB cancels programming at Gantry Plaza State Park on days following significant rain as a precaution against CSO contamination. Throughout the 2015 CWQTP season (see figure 1) lab results showed that the presence of Enterococcus at Gantry Plaza State Park usually measured within acceptable conditions for swimming. It was observed that on three occasions Enterococcus levels at the site were unacceptable for swimming. Similar results were obtained in the previous 2014 CWQTP season (see figure 2) with one measurement exceeding the limit acceptable for swimming. These spikes might correlate to rainfall prior to measurement (with one of the three a possibly anomalous result), as seen in figure 3, provided by the Riverkeeper organization through the citizen testing data web tool hosted on its website. That is, a wetter season in 2015 may be the cause for having have three peaks in Enterococcus counts compared to one peak in 2014. The amount of rainfall in the 2014 season, from May 22 to October 02, was 14.76 inches, according to the National Weather Service Forecast Office. That was 1.59 inches less than the 2015 season’s 16.35 inches for a same period (May 21-October 01). Nitrate (NO3) and Phosphate (PO4) in-situ testing was new to the 2015 season. Nitrates and phosphates from urban runoff can cause eutrophication, a process that depletes lakes, streams, and rivers of oxygen. The procedure for in-situ testing was straight forward. The test kit consisted of two small tubes with nitrate and phosphate reactors and a small cube (see figure 4). Each tube would absorb water from a small cube of the sampled water. The tubes would change color after a few minutes indicating the level of NO3 or PO4 respectively. Throughout the season, low concentrations of Nitrate and Phosphate testing were recorded and these remained constant. For me, as an international student with an engineering background in water resources, and an advocate of sustainable water management, constant monitoring of water bodies is of utmost relevance. It informs environmental regulators whether the water body supports a healthy aquatic ecosystem. While participating with HarborLAB collecting water samples, I came to appreciate the importance of keeping New York City’s waterways pollutant free. It helps revitalize shores once plentiful with aquatic life and maintain a balance in the ecosystem. 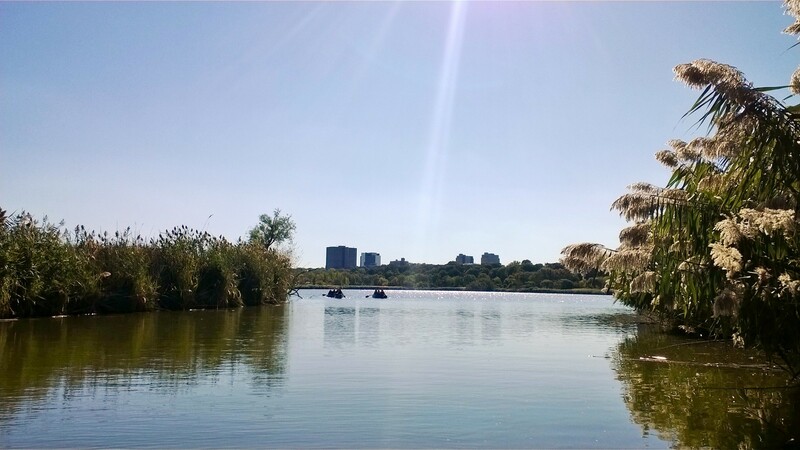 In addition to revitalizing shores, effectively protecting our water bodies from pollutants creates an increased public interest in recreational water activities.